We are providing the all types of Creative. factor e design invites you in a dimensionless journey into the unforseen era of multimedia design. the boundless potential of the internet will be brought to life through our storm of ideas and creativity. experience for yourself what can be achieved with the mind. KPT product engineering uses ultra modern CAD facilities and rapid prototyping technique to transform an idea into reality. Customer comfort by means of sound ergonomic designs is always a priority. Standards defined by ISO 9001-2008 continue to be a part of an ongoing process, aimed at ensuring customer delight. The Design and Creativity Organization grants maximum flexibility in the customization of the product being also a precious consultant for customers by supporting them with fashion trends and style proposals. Every successful business uses the services of advertising agencies, graphic designers, and illustrators to promote and inform in today's global economy. we provides these services and more. Developing Creative Potential Based on concepts of "TRIZ" and 'Lateral Thinking' this program helps to look at creativity in personal space as well as in team space, helps to apply creative tools in visioning and problem solving and also discusses the need for institutionalizing creative endeavors. 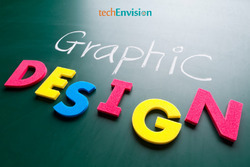 Our organization specializes in offering reliable Graphic Design services according to the latest design trends. 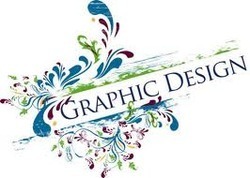 The Graphic Design Services offered by us include Logo & Book Cover Design, Posters Packaging Graphics/Product Label Design, Online Banner Ad, Flyers, Corporate Identity Design and Calendars.